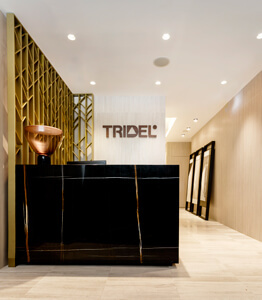 Located along “The New Dupont”, Bianca by Tridel is one of the first condominium developments reshaping this residential neighbourhood which, as the name implies, is undergoing rejuvenation. Already 60% sold, the Marketing Centre officially opened August 11th, 2017 and offers visitors the opportunity to experience first-hand elements of the project’s alluring interiors and dynamic architecture. Consumers have made it clear that they want, and expect retail experiences that are shareable and memorable. 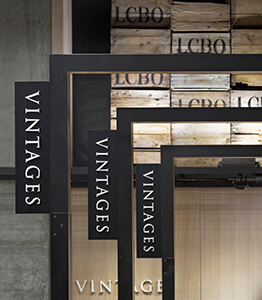 In the September issue of VMSD (Visual Merchandising & Store Design) partner, Keith Rushbrook discusses the LCBO’s dedication to their customer’s journey and the innovative design behind the beverage retailer’s Dunfield & Eglinton location. 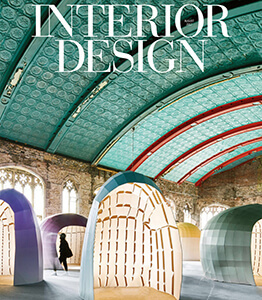 The latest issue of Interior Design Magazine features winners of the international site-specific art awards programme, COD+A Awards, including II BY IV DESIGN’s Minto 30Roe – Articulated Lobby Screen. Honored as the Residential Art category winner the screen integrates with the building’s architecture, making a bold and dynamic statement during the day and a wonderfully illuminated monument of shadow and light in the evening. The COD+A Awards celebrates the most successfully integrated commissioned art into interior, architectural, or public spaces, and was judged by an esteemed panel of 22 jurors from the international design, architecture and art worlds, including Gisue Hariri of Hariri & Hariri Architecture, Keith Fox of Phaidon and Nora Atkinson of the Renwick Gallery, Smithsonian American Art Museum.